<< HIV test device saves newborns. Myra works with DRW for Africa. 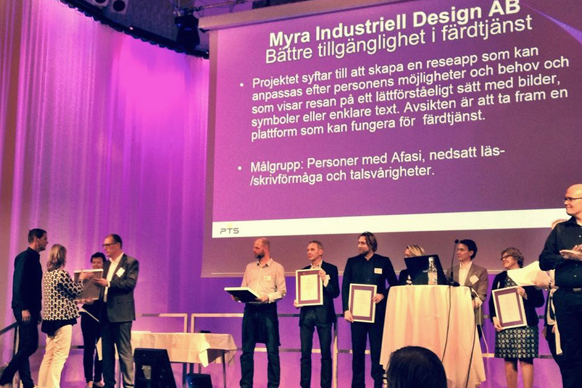 Myra wins The Swedish Post and Telecom Authority’s innovation competition “from study to work’ with the project : Better availability of transportation service for persons with aphasia, impaired reading / writing / speaking skills. Gränssnittarna is a part of the project. Work on the project begins immediately and will be funded by the PTA in the longest 18 months. – Our goal and hope is that the projects we finance can help to reduce barriers and increase opportunities so that more people can take part in the labor market on equal terms, says Göran Marby, Director General of the PTS.